When a vessel passes the approximately one-half-mile-long Dog Bar Breakwater and enters Gloucester Harbor during a storm, the fury of the Atlantic subsides and the wind is cut by half. The inner harbor, “safe from all winds that blow” according to an old almanac, was not always protected by the breakwater and Dog Bar Breakwater Light, and, ironically, the breakwater designed to protect mariners would itself endanger a few of them. Even after Eastern Point Lighthouse was lit in 1832, ships continued to run aground on dangerous Dog Bar Reef, which extends shoreward from the point. Thus, the decision was made to build a breakwater over the ledge, which in addition to covering the reef provided sheltered waters in the harbor. The Army Corps of Engineers built the 2,250-foot breakwater stretching out from Eastern Point Light between 1894 and 1905, as Congress doled out the requisite funds. The substructure of the breakwater is a rubble mound covered with 231,756 tons of Cape Ann granite blocks, each one weighing 12-13 tons. The breakwater was constructed for $300,000 and is 7½ feet above mean high water and ten feet wide. On July 1, 1901, a fixed red lens lantern light was exhibited from an iron spindle surmounting a pile of riprap to mark the end of the unfinished breakwater, but a storm on November 5, 1901 damaged the spindle and carried away the lens lantern. As the post light was difficult to maintain, especially in winter, a gas buoy was placed off the end of the breakwater. Before the breakwater was even completed, almost forty confused vessels had already crashed into it. One such ship, the schooner Carrie L. Hix, struck the breakwater and went to pieces on January 1, 1900. Two years later, on December 5, 1902, the schooner Flo F. Mader from Lunenberg, Nova Scotia suffered the same fate. Although that vessel was a total loss, all aboard were rescued by a crew from Dolliver’s Neck Lifesaving Station and then housed by Keeper George F. Bailey at Eastern Point Lighthouse. 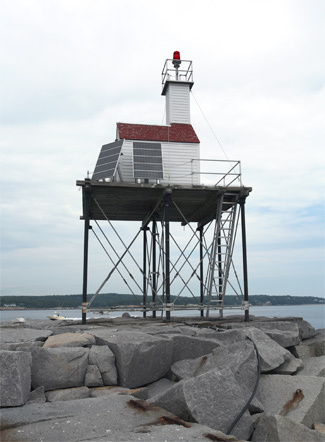 After the breakwater was completed, an iron tower lighthouse with a first-class Daboll trumpet as a fog signal and a fourth-order light was recommended to mark the outer extremity of the granite blocks. 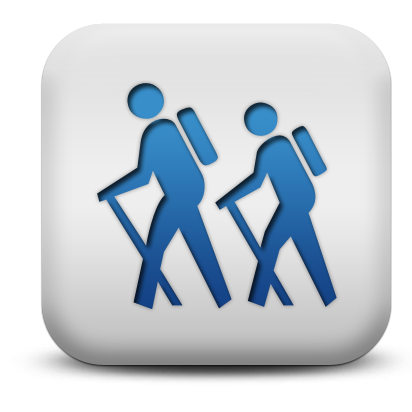 The estimated cost of the proposed structure was $42,795. 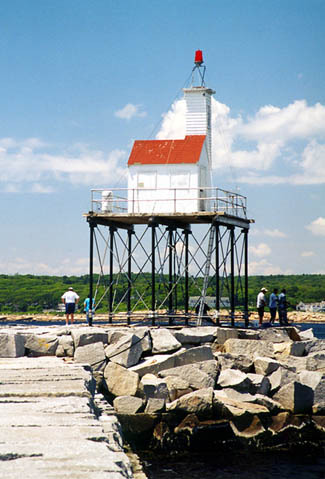 While waiting for Congress to appropriate the needed funds, a wooden tripod with a fixed white light, known as Gloucester Breakwater Light or Dog Bar Light, was established atop a granite mound at the end of the breakwater on December 4, 1905. Keepers at Eastern Point Light were given the additional responsibility of caring for the new light. During calm weather the promenade provides a beautiful stroll to enjoy bird watching or fishing for flounder, pollock, or mackerel. However, when the weather turned foul, keepers risked being swept out to sea or slipping into the ocean from the ice coated granite blocks. A great many fishing vessels frequent this harbor, entering and leaving at all times of day and night, and in all kinds of weather. The lens light now on the breakwater has not been adequate to prevent collisions with the breakwater. A more powerful light and a fog signal are needed. A white house and tower atop a square, skeleton substructure were soon built at the end of the breakwater, and on July 1, 1911, an electrically operated fog bell, one of just three used by the Lighthouse Service, was placed in operation. The fog bell and its striker are located in a small house on the outer end of the jetty or breakwater. The descending weight employed to drive the striker is wound up by a small electric motor in the bell house; the motor is started automatically when the weight reaches the bottom of the fall, and is shut off when it reaches the top. The current is supplied to the motor over a pole line along the jetty from an electric generator driven by a petroleum engine, both of which are located in a small power house at the shore end of the jetty. In early March 1931, a severe northeasterly gale swept the Massachusetts shore and caused considerable damage to lighthouse property. At Gloucester Breakwater, granite blocks were washed off the breakwater, breaking the cable that fed the light and fog bell, and the lighthouse structure itself was somewhat damaged. It wasn't water but rather fire that inflicted the most significant damage to the breakwater lighthouse. On February 17, 1943 a devastating fire destroyed nearly the entire fog bell house, but the structure was soon rebuilt. After many years, the fog bell was replaced by electronic horns that formed a chorus with “Mother Ann’s Cow,” as the whistling buoy to the south is called. 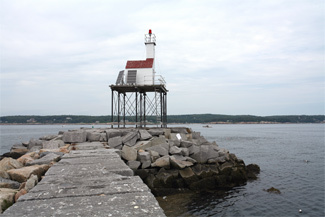 Following automation of Eastern Point Light and Dog Bar Breakwater Light in 1985, a sensor that activates the electronic fog signal was placed at the end of the breakwater. Today, Dog Bar Breakwater is part of a fifty-three-acre nature preserve owned by the Massachusetts Audubon Society. From sunup to sundown in good weather, the breakwater provides a marvelous location to view migrating waterfowl, seabirds, shorebirds, and monarch butterflies. Needless to say, when the weather turns foul and Mother Ann’s Cow cries out, the breakwater is closed to the public. “Dog Bar Breakwater Has Been Completed by the Government,” Boston Daily Globe, November 12, 1905. “Dog Bar Breakwater A Terror,” Boston Daily Globe, January 2, 1900. 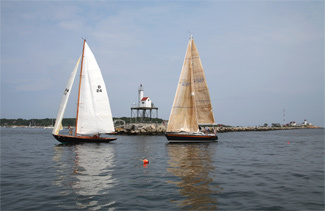 Located at the end of the breakwater at the entrance to Gloucester Harbor. For a larger map of Dog Bar Breakwater Lighthouse, click the lighthouse in the above map. From the junction of Highways 127 and 128 in downtown Gloucester, go east on East Main Street for just over a mile, where the road will become Eastern Point Road. Continue on Eastern Point Road 0.3 miles to Eastern Point Boulevard. Follow Eastern Point Boulevard 1.6 miles to its end at a parking area near Eastern Point Lighthouse. You will see "Private Road" signs posted along the way, but access to the lighthouse is allowed. 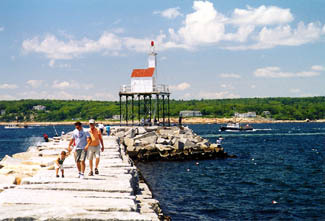 The breakwater light can be photographed by walking the 0.4 mile breakwater, which extends from the point. The light can also be viewed from the water on boats out of Gloucester. 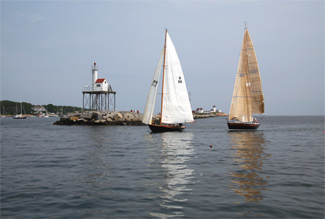 One possibility is a Lighthouse Cruise offered by Harbor Tours Inc. of Cape Ann. The light is owned by the Coast Guard. Grounds open, tower closed.